Below you fill find all funeral homes and cemeteries in or near Camdenton. Camdenton is also known as: Camden County / Camdenton city. Their current mayor is Mayor John McNabb. Zip codes in the city: 65020. It was reported by Current Local on September 27th, 2018 that Charles Eugene Dawson passed away in Camdenton, Missouri. Dawson was 84 years old. Send flowers to share your condolences and honor Charles Eugene's life. It was reported by The Roanoke Times & World News on June 20th, 2018 that Betty Mae Hunt (Anderson) passed away in Roanoke, Virginia. Ms. Hunt was 90 years old and was born in Camdenton, MO. Send flowers to express your sorrow and honor Betty Mae's life. It was revealed on August 4th, 2016 that Dennis Joseph Michel died in Camdenton, Missouri. Michel was 46 years old. Send flowers to express your sorrow and honor Dennis Joseph's life. It was revealed on August 4th, 2016 that Jacob Belden Seeman perished in Camdenton, Missouri. Seeman was 40 years old. Send flowers to express your sorrow and honor Jacob Belden's life. It was disclosed on May 22nd, 2016 that Irene Lydia Garcia (Kloepper) passed on in Camdenton, Missouri. Ms. Garcia was 92 years old and was born in Everest, KS. Send flowers to express your sympathy and honor Irene Lydia's life. It was reported on March 23rd, 2016 that Jennifer Anne Hoodjer (Finke) died in Camdenton, Missouri. Ms. Hoodjer was 47 years old and was born in Clinton, IA. Send flowers to express your sympathy and honor Jennifer Anne's life. It was disclosed on February 24th, 2016 that Jack Anthony Garcia passed on in Camdenton, Missouri. Garcia was 94 years old and was born in Chicago, IL. Send flowers to share your condolences and honor Jack Anthony's life. It was disclosed by Topeka Capital-Journal on February 12th, 2016 that Robert M "Bob" Sapp passed on in Topeka, Kansas. Sapp was 81 years old and was born in Camdenton, MO. Send flowers to share your condolences and honor Robert M "Bob"'s life. It was written on March 29th, 2015 that Thomas Melvin Martindale passed away in Camdenton, Missouri. Martindale was 80 years old and was born in Texarkana, TX. Send flowers to express your sympathy and honor Thomas Melvin's life. It was revealed on September 1st, 2014 that Martin "Marty" Klaus perished in Camdenton, Missouri. Klaus was 66 years old and was born in Chicago, IL. Send flowers to express your sympathy and honor Martin "Marty"'s life. Camdenton is a city in Camden County, Missouri County, Missouri, United States. The population was 2,779 at the 2000 census. 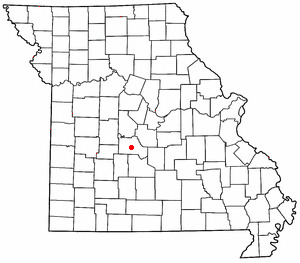 It is the county seat of Camden County, Missouri County . . .
allads for Camdenton, MO. Find phone numbers, addresses, maps, driving directions and reviews for allads in Camdenton, MO. Hedges Funeral Home is located at Camdenton MO. Phone: 573 348 3232. Post a message or leave a review for Hedges Funeral Home. We work with local florists and flower shops to offer same day delivery. You will find budget sympathy flowers in Camdenton here. Our funeral flowers are cheap in price but not in value.